Hey look, it’s Batman looking into a mirror. 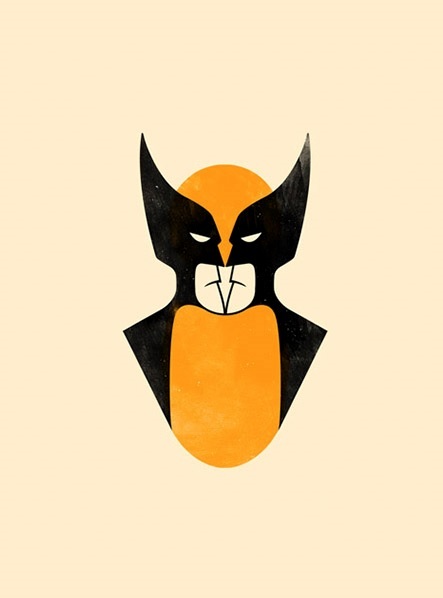 No, it’s Wolverine looking right at us! I just say him put on his utility belt. It’s got to be Batman! make when they come out! Listen…I just heard the Batmobile start up. No, that’s a motorcycle that Wolverine likes to ride. No, that’s Jean Grey. Everyone knows that Wolverine is in love with her! Oh, I think I just saw Robin fly by. You know that’s Batman’s sidekick. No, that was Jubilee that just did a cartwheel really fast by us. Oh, no. You scared him. Where did he go? Batman must have hidden in the Batcave. No, Wolverine went back to Xavier’s Institute of Higher Learning. This entry was posted on March 13, 2014 by mrsshaia in Every Hero Has a Story, Imagination, Optical illusion, Superhero Storytimes and tagged Every Hero Has a Story, imagination, optical illusion, Superhero Storytimes.